It's the third time that we collaborate with the people of Sialka. This time for a consumer website. We already worked on the websites for Simovision and Medtradex, which are B2B websites. But this time we go for a change! A clear structured informative website that should inform people better about their eye conditions. Through the Ogenblik platform patients are able to find a suitable oculist for the condition they are suffering from. 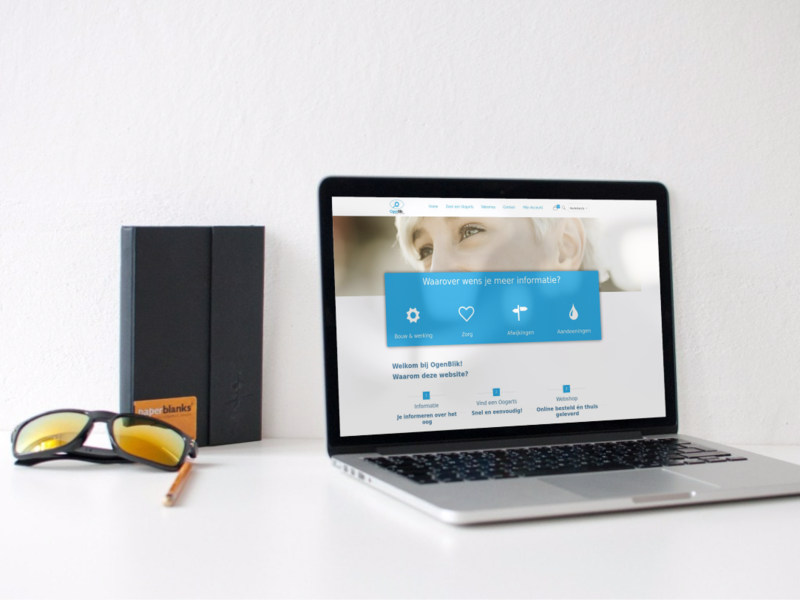 The platform then gives an overview of the doctor's rate, how close he/she is located etc, in which conditions they are specialized etc ... We launched this project on the 1st of March 2019 and hope to help many people with their vision problems through this platform.